Hello, Western Psi Chi members! Attend a research convention! Join us April 25–28, 2019, for the WPA convention in Pasadena, CA. Submit convention proposals by November 15. Select the Psi Chi poster option to be eligible for a special session and research awards! Participate in Psi Chi workshops including sessions on graduate school and careers, and our Chapter Exchange on Saturday, April 27. View all Psi Chi Awards and Grants. Complete collaborative research including opportunities to publish. Submit your research to the Psi Chi Journal of Psychological Research. Visit Psi Chi's Career Center for job listings and career resources. Check out Eye on Psi Chi magazine, and submit articles to publish. Join our Western Region Facebook Page. Ask questions, post updates about your chapter, and chat with other Psi Chi members! Contact me, your Western Region VP! Post Psi Chi questions and comments on our Facebook page. Contact me directly at westernvp@psichi.org for (a) interest in volunteering with Psi Chi beyond your chapter or joining the regional steering committee; (b) ideas for Psi Chi and our regional convention; and (c) any and all questions and concerns. I’m eager to help! Wishing you a wonderful beginning to your academic year. Happy fall! 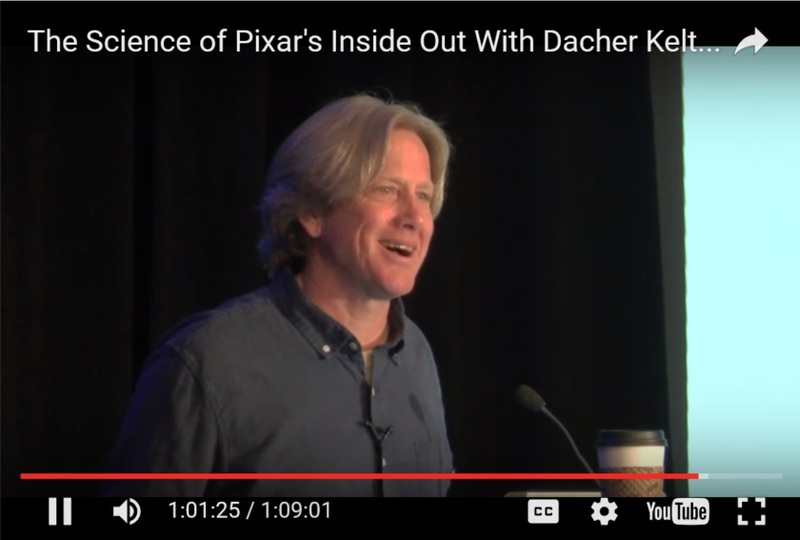 "The Science of Inside Out"
by Psi Chi Distinguished Lecturer, Dr. Dacher Keltner, at WPA 2016 in Long Beach, CA.